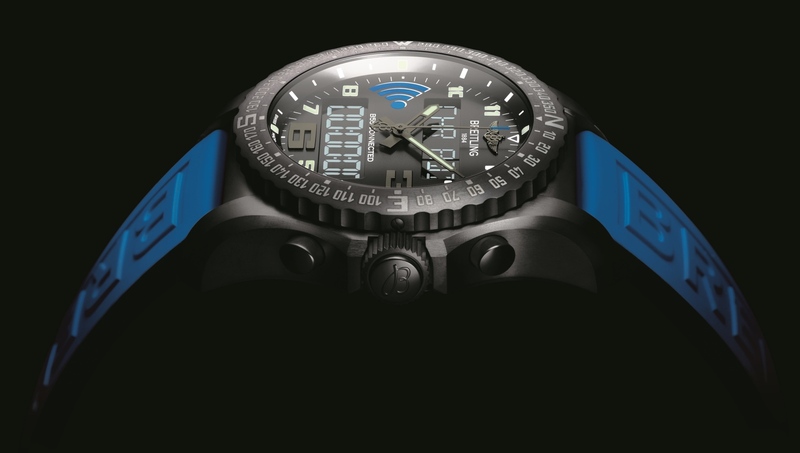 The Breitling B55 Connected smartwatch will be out before Christmas, the company's CEO has revealed in an exclusive interview with Wareable. The high-end watchmaker announced its smart intentions back at Baselworld 2015 in March, and it seems a full release is just months away. "Before the end of this year," CEO Jean-Paul Girardin confirmed. "Before Christmas, I would say. We don't have the exact timing for now but probably before the end of November; certainly before the end of the year." Executives are often careful when talking product release dates not least of all because it's hard to predict what problems may arise along the way which could easily delay the process. It's particularly true when dealing with an entirely new line of device as this smartwatch from Breitling very clearly is, but, as Girardin explained, it's not quite the same starting from scratch that those in the technology industry have had to do when creating their own wrist-worn devices. "Nothing is easy in tech innovation, of course, but we already have the titanium, the steel, the cases. Ok, we didn't have plastics, or communication, the range, the power consumption, the ceramic antenna, the communication between two chips; but all of these were technical issues we had to solve and that's only one side of how to bring a good, reliable product to market. And Girardin explained that the difficulty didn't come from choosing which features to add, but which to lose. "There are so many options, so many new features that you can add. The truly difficult part is - which ones do you keep? You want to create something that's smart but also still easy to use. "We had to get rid of a lot of functions because we had no room and wanted to keep the watch low energy, but really it was about boiling it down to the most necessary functions to keep it a Breitling product. That was the interesting challenge," he said. The result, in its form shown off to the press at Baselworld, is probably the least smart smartwatch in field, as it stands. It's a world away from the fully featured Apple Watch, with control pf timekeeping, lap counting, split times and alarms largely handed off to the accompanying mobile app. It's from there that you change the clock, set alarms and record the data of your manoeuvres. There's no mobile notifications, no phone calls nor any text alerts whatsoever. Naturally, for every pilot who buys a Breitling, there's someone who does the same because of the brand image and aesthetics, and it's those customers who might be looking for something more in a connected wristwatch. Those customers, according to Girardin, though, might need to look else where. "For us, the perfect product is not the one with the biggest number of functions. It's the product where you have nothing to remove. Some have the tendency to add and add but that's not a Breitling. We want to offer the consumer the most competitive watch - like in mechanical watches - one offering useful functions but not too many to use." It's an extreme, if not uncommon, story from the Swiss watch industry at the moment. Look at the big tech companies with smartwatches and it's about heart rate, apps, payments, touchscreens and just about anything that they can think of thrown in to give the device the value for which they're hoping that the public might see. For, Mondaine, Withings and now Breitling, it's look and feel first with a slow drip of functionality to be added one little feature at a time, and it's this later group that's been winning the plaudits for now. "It really made sense for us both in terms of the product and the brand," Girardin told us. While it begs the question of why bother with making timings and readings on the watch at all, it could be that this cautious approach is just a toe in the water. With watches Breitling's core business, there's more to lose than the likes of Apple and Samsung if it gets things wrong. And Breitling confirmed it was playing the long game when it comes to smartwatches. "We think long term," confirms Girardin. "The product cycle of luxury goods is much longer than most usual wearables. It means that all the components we have will be able to receive software updates which you'll be able to do online. We foresee added features and new functions in the future. The next B55 Connected will be not the first and only. There will be evolution, for sure," he said. But far from worrying about competition from Apple, Breitling's top man is relishing the wrist watch renaissance. "It's the first time that we've been talking about wristwatches so much. We've talked for years about iPads, iPhones; I heard that more than 50 percent of the people under 50 don't wear wristwatches. So, if the trend to wear something on your left wrist is back again, then that's very good." A good thing for the watchmaking industry as a whole, it seems - even for those that claim they're not interest in smartwatches whatsoever.